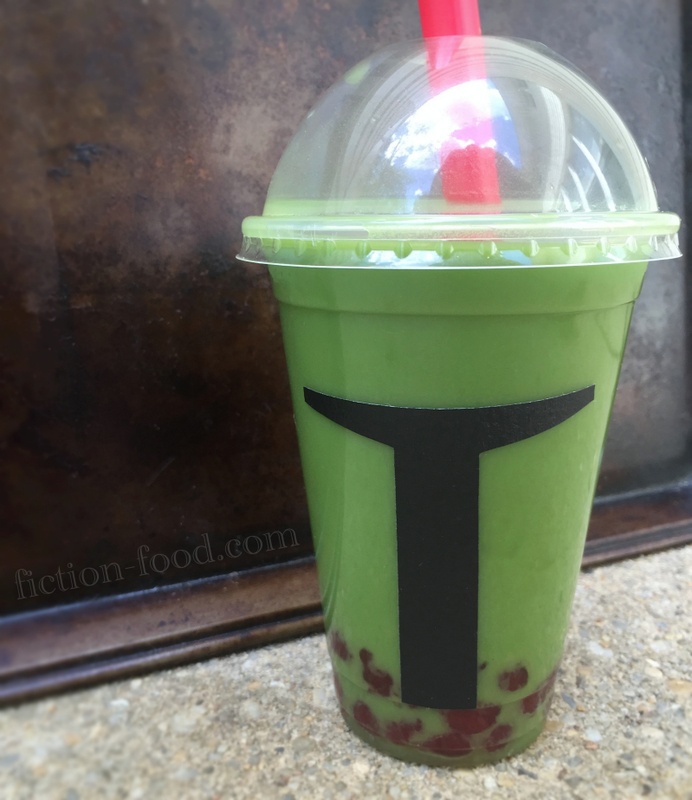 Fiction-Food Café: Boba Fett's Boba Drink for Star Wars Day! 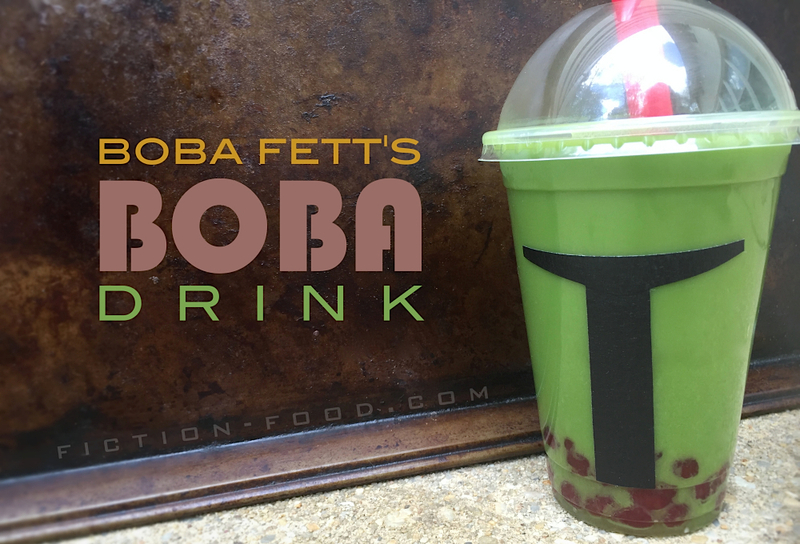 Boba Fett's Boba Drink for Star Wars Day! 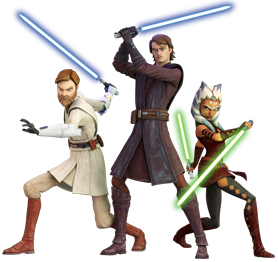 I recently started watching "Star Wars: The Clone Wars" on Netflix after being inspired by a writeup on "Like Gwen Stacy". I'm almost finished season 3 and I've really fallen in love with the show. This past weekend, the shop I went to for Free Comic Book Day (hey'o, Third Eye Comics!) had a few people from the local 501st Legion present for photos. On one clone trooper's helmet was a little pair of blue, butterfly-like wings (or "jaig-eyes") and I was overly pleased with myself for recognizing the design as belonging to Captain Rex, Anakin Skywalker's second in command. There was also a little boy dressed very impressively in Anakin's outfit from the series. I was so excited/pleased about making these connections. Also, the R2-D2 replica near Rex was beyond awesome to me, movin' its head and makin' the real sounds! I kept pointing and telling Smalls "that's R2-D2!" because you know, that's important knowledge for a parent to pass on to their child. I'm sure many of you can understand these little sparks of elation from seemingly simple things. That's the fun of fandoms, and that's the reason I'm watching "The Clone Wars". I watched the original three "Star Wars" films as a kid and saw the newer three in the theater as a late teen to early twenty something. At some point in time I remember watching "The Ewok Adventure" on rented VHS with my dad and sister while eating a meatball sub from the new-in-town sandwich place, Subway. We watched "The Battle for Endor" sometime after that. I also vaguely remember watching an Ewok cartoon and yes, I even watched "Space Balls", maybe even a few times. I mention all of this to say that even though I've been familiar with "Star Wars" my whole life, I can't really recall much aside from who some characters are plus flashes of images and storyline–you know, stuff you acquire from one or two-time viewing. There's also the bits of information gleaned from occasional proximity to people who are moderate to higher-than-moderate fans. Note: I realize that some people can see something once and have excellent recall–I am not one of those people. I do remember some of my feelings and thoughts while watching "Star Wars" things though, like the "Willow" vibe of "Battle for Endor" and being kinda underwhelmed by Darth Maul in "Episode I" after so much pomp in merchandising and pre-film promotion. Also I expressly remember sitting in the theater for "Episode I" thinking it would be sooooo funny if Darth Maul tripped while walking down the ramp of his ship after landing on Tatooine. With "Episode VII" coming out in December, I want to up my "Star Wars" game so I can get as much out of the film as possible. I want to make connections and get excited and know what's going on on a deeper level than by simply watching the film in front of me. One way I've decided to do this is by watching "The Clone Wars", the new series "Star Wars: Rebels", and re-watching the previous six films (also probably the earlier "Clone Wars" animation). I don't know how long this will take me, but I'm going to take it easy and enjoy the ride. 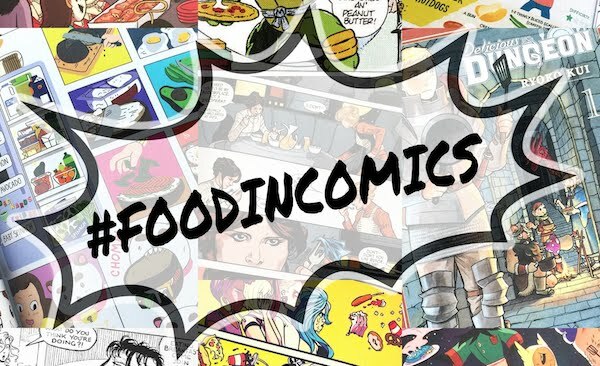 Also, I've already got a few more "Star Wars" inspired foods waiting in the wings, so stay tuned! Brainstorming what to make for this unofficial holiday, my mind eventually landed on boba–AKA tapioca pearls–for the infamous bounty hunter and unaltered clone Boba Fett. (FYI: "boba", named because of the round softness of the tapioca pearls, is actually Taiwanese slang for "large breasts" so...that's unfortunate. Or not.) There have been several artwork interpretations of this word play boba/Boba (I like this one by Hal Hefner in particular. I want to hang it in my kitchen!) but I thought I'd throw my headgear in the ring with a real-life, edible concoction drawing inspiration from Boba Fett's signature Mandalorian helmet; mostly green, painted to represent duty, with a bit of red, in honor of a parent–in Boba's case, his father Jango Fett, the prime clone. 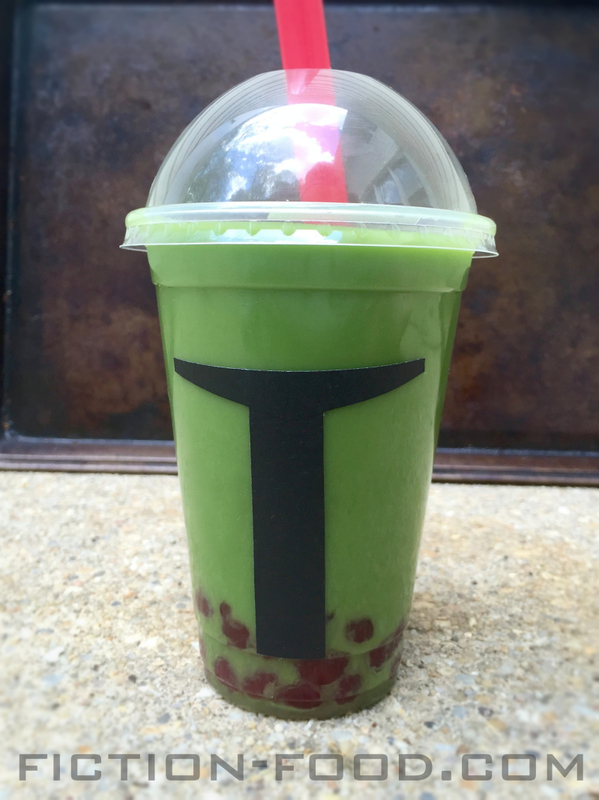 Note: As I said, I made this drink because of Boba's name, but feel free to change this up to simply become a tapioca pearl drink inspired by clone troopers or other characters, like you can cut the black tape differently and do a creamy white milk tea with blue boba to represent Rex. Or do something else; get creative! 1. Syrup: In a medium pot on medium-high heat, bring the 1 cup of water plus the sugars to a boil, stirring until the sugar is dissolved. Turn off the heat & pour the liquid into a small bowl to cool. 2. Boba Pearls: Bring a large pot with about 6 cups of water to a boil. In a small bowl, stir together the tapioca flour plus 2 Tbsp. of the boiling water until smooth. 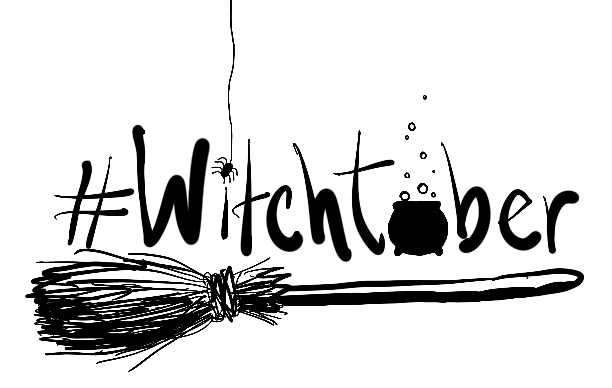 Turn off the water & leave it on the stove (you'll use it in a little bit). Flour your fingers & a flat work surface lightly with the tapioca & begin to knead the dough & pull it like taffy. Work in a tiny bit more flour if it's too sticky, but keep in mind the more you work with it, the smoother & more manageable it will become. Once it's a nice smooth dough, work in the coloring until it's a strong, uniform red. 3. Turn the stove top on again & bring the pot of water back to a rolling boil. Pinch off pinky-nail-size bits of the dough & roll them into little balls (a little larger than a pea–more like 2 peas) & line them up on your lightly floured work surface. Plop them into the boiling water & stir. Once they float to the surface, cover the pot but leave a little opening for some steam to escape. Reduce the heat to medium & cook for about 25 minutes, stirring about every 5 minutes. Next, turn the heat off, cover the pot completely, & let sit for about 20 minutes. 4. Drain the boba into a mesh strainer & then plop the cooked pearls into the cooled syrup. Let them sit in the syrup for about 15 minutes or so. 5. Green Tea Milk Tea: Fill a large liquid measuring cup to the 1 Cup line with water. Zap it in the microwave for about 1 minute 20 seconds & then whisk in the matcha powder, sugar, & milk (use a frothing tool for this if you have it). Let cool in the fridge or freezer for a few minutes until it's about room temperature. 6. Building the Drink: Using a slotted spoon, scoop the boba pearls out of the syrup & into your cup. Next, pour in the green drink, & then top with the ice cubes. Stick your big red straw in & enjoy! Note: The tape sizes I give below fit for the small cup I got at the boba shop. If you're using a different size/type of cup or glass, you may need to adjust the tape sizes. Really, just eye-ball it all and you'll be fine! 1. Cut a 2 3/4" long strip of black tape, about 5/8" wide, & place it vertically down the center of the cup, about 1/2-5/8" up from the bottom. 2. Cut another 2 3/4" long strip of black tape & press it flat onto a piece of waxed or parchment paper. Fold the paper in half so that the tape is in half as well, & then cut at a slight downward angle from the end of the tape to the folded center, so that when you unfold the paper, the tape is flat along the top & pointed at the bottom center with about 1/8" at the sides (see photos in this post). Peel the tape off of the paper & place it at the top of the vertical piece of tape already on the cup, so it looks like a "T". Plop your red straw in the cup & there you go! ready to fill. Ooo, sounds very cool! Hip hip hooray (x3) for sci-food!